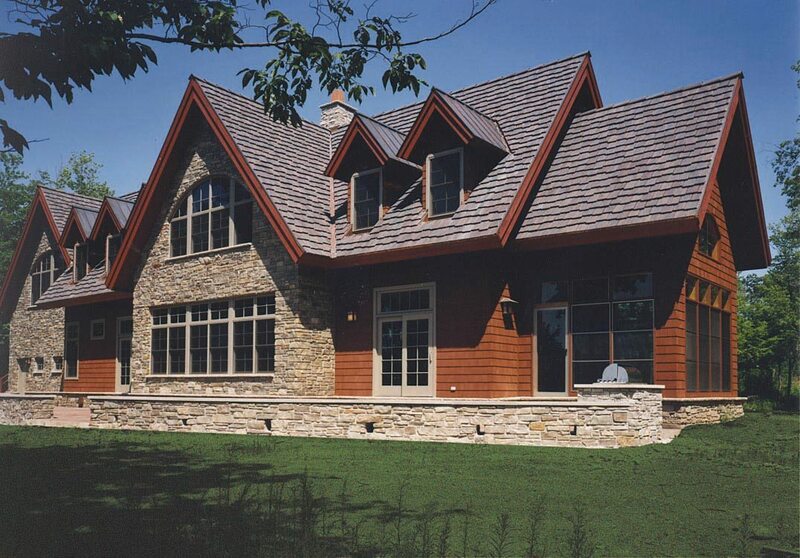 Cottage meets lodge is the essence of this lake home getaway on Agate Lake near Crosby, Minnesota. 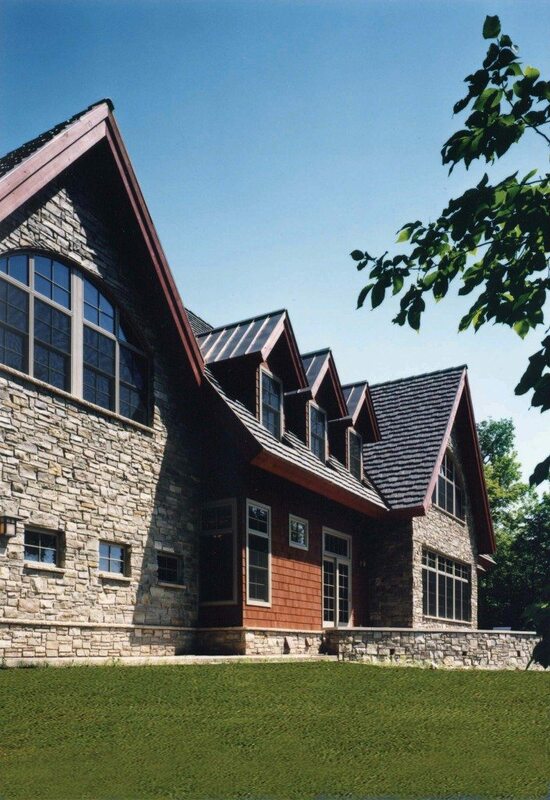 Using nature as its palette, this home combines stone, cedar shakes, Douglas fir beams, concrete roof tiles and copper dormer roofs to highlight the exterior. 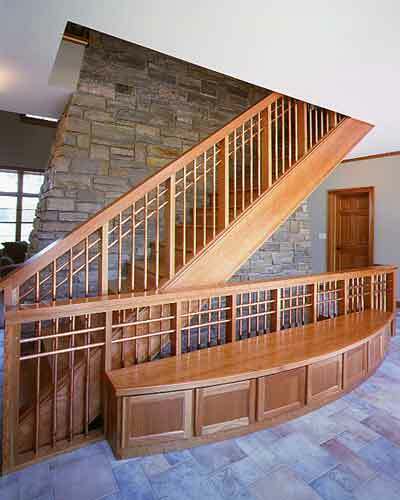 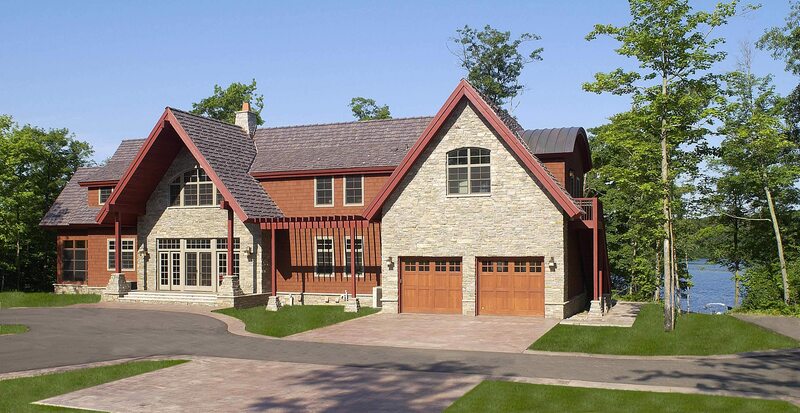 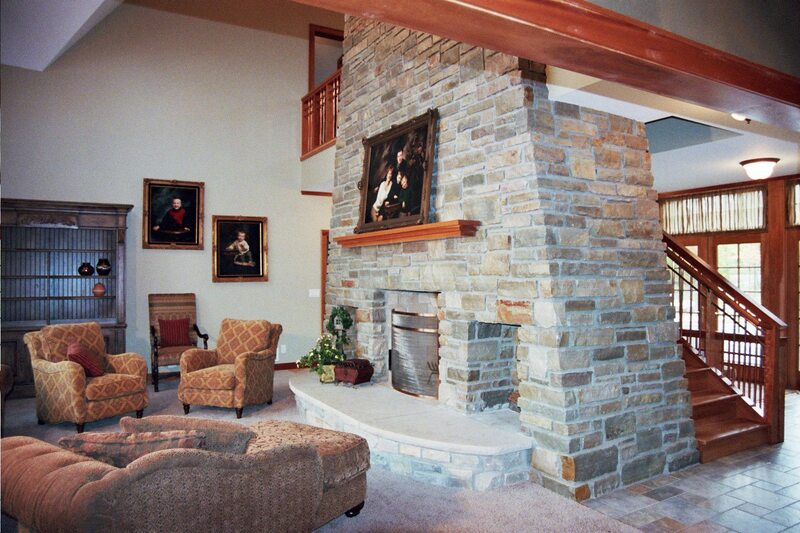 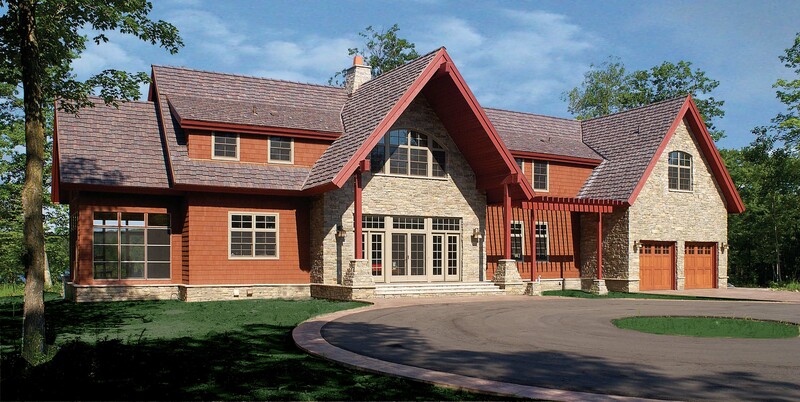 While cherry woodwork, copper handrails, maple floors and a three story stone fireplace adorn the interior. 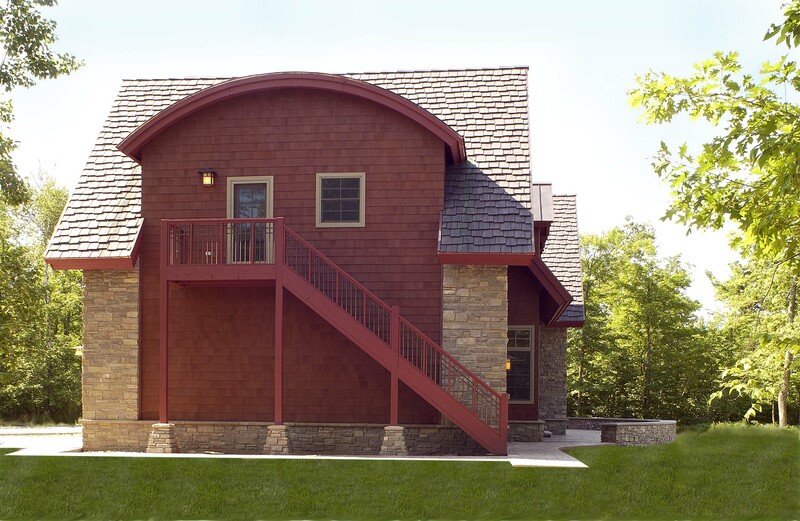 A two bedroom guest suite with a separate entry is showcased by the large arched dormer. 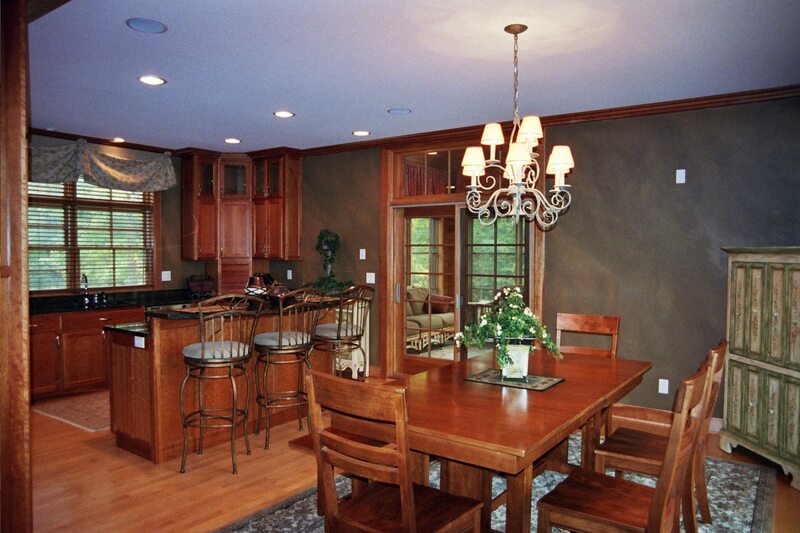 A bar and kitchenette offer entertainment ease in the lower level home theater and game room making this lake home a warm, inviting, and entertaining retreat.